Archibald invites you in to mediate and relax. The icon chair created by Jean-Marie Massaud today goes royal: Archibald Chair is here. Important, majestic, fit for royalty. A distinguishing large headrest takes up on the elegant folds of the backrest featured throughout the collection. 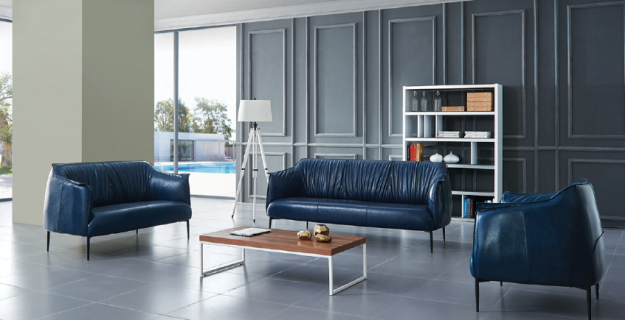 Thus the pleasantly undulating leather is embellished along the edges and external surfaces of the upholstery with contrast stitching, giving it a refined, elegant appeal. 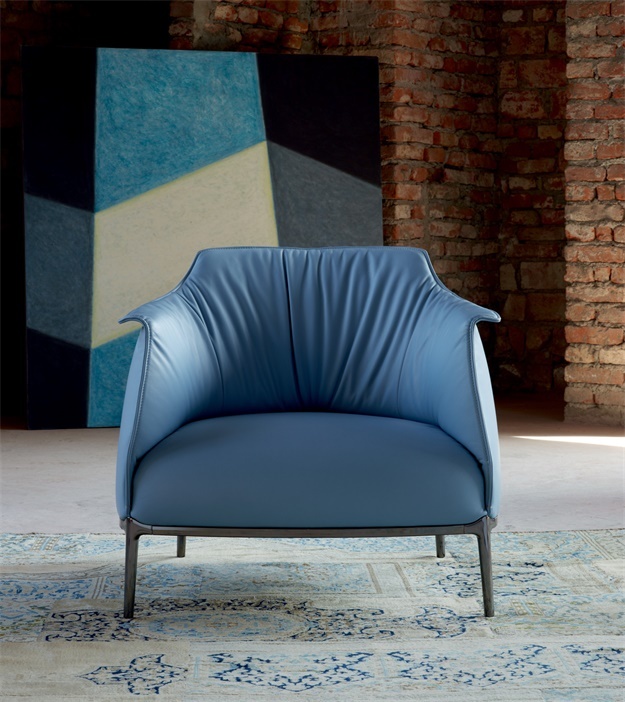 Poltrona Frau Archibald: The enveloping design is exalted by the free play of folds that the leather creates across all of the internal part of the backrest, making it pleasantly undulating. The precious contrasting stitching along the seams and on the external surfaces of the upholstery creates a refined elegance. 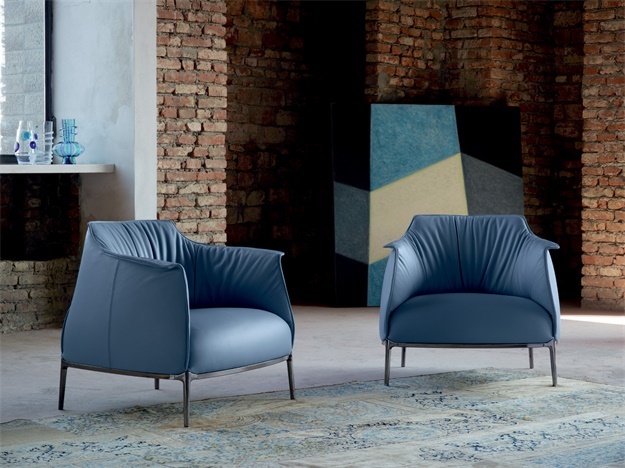 The frame of the backrest and seat is in steel with polyurethane foam padding, moulded, expanded and shaped with polyester wadding in the zones where more comfort is needed. Springiness is obtained from elastic belts and the base is made up of four feet in cast aluminium and tubular steel frame with a gunmetal grey finishing. The upholstery of the shell is in full top grain italian leather, aniline leather or waxy antiqued leather.